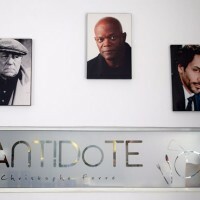 The restaurant L’Antidote in Cannes offers a rare culinary experience able to heal and bring smiles to those despairing to enjoy a genuine cuisine in the capital of Cinema. 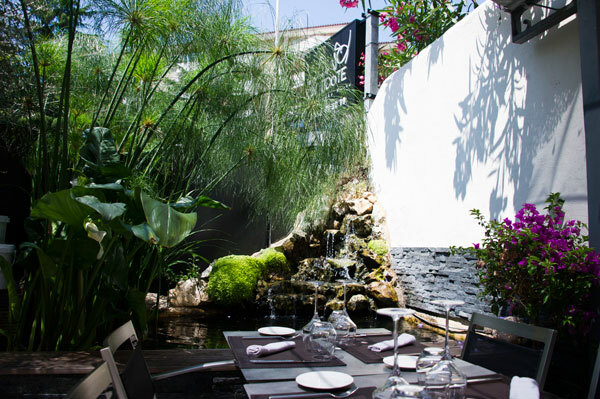 At the east entrance of Cannes, at the Pont des Gabres, Christophe Ferré and his wife Karin receive the clients of their Restaurant L’Antidote in a villa with a garden shaded by an arbour. 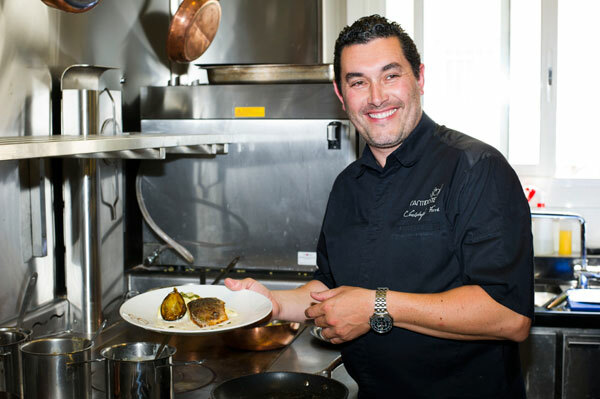 The chef offers a southern cuisine full of creativity, with brilliance and sincerity and aesthetics on the plate, but no frills, focusing on authentic savors and value for money. 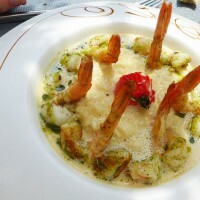 The setting of L’Antidote is a former bourgeois house, white with blue shutters and Provençal aspect, whose spacious garden is shaded by an arbour under which hover hanging plants. On the walls grow cacti and succulent plants and the waterfall over a pond with goldfish cradle the ambiance with a fresh gurgling. 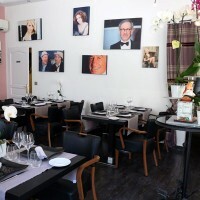 The terrace is an ideal setting for outside lunch or dinner, but if you want to eat in the company of Gabin, Birkin, George Clooney and Julia Roberts, the interior room invites to plunge into the universe of the Cannes Film Festival with many photos of stars. 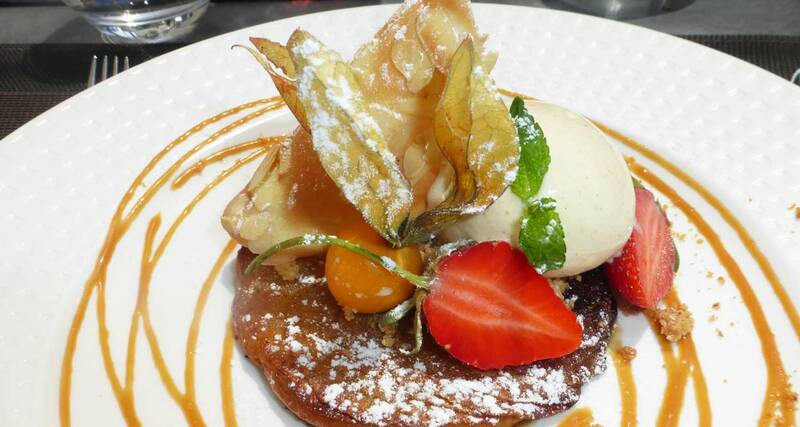 A trained pastry chef, Christophe Ferré became cuisine chef keeping the rigor of the realization of the pastry. 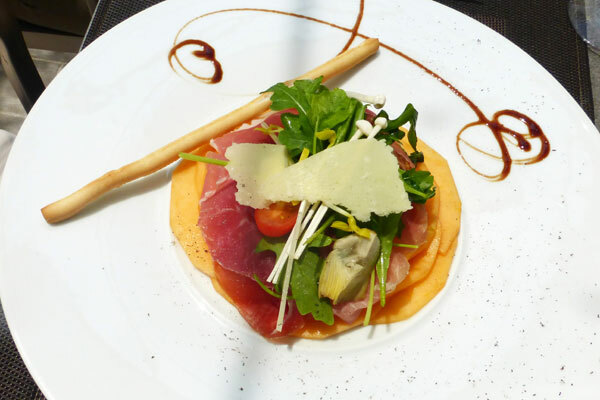 Before opening his own restaurant, L’Antidote in Cannes, he was chef in Mougins, in strarred restaurant including La Terrasse and especially L’Amandier. 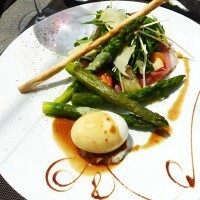 At L’Antidote, everything is cooked “maison” (homemade) and all dishes are made “minute” (on the dot). 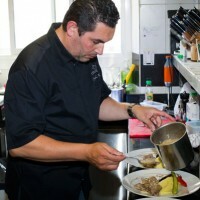 Christophe Ferré converted the basement of the house into a kitchen where the dishes are prepared, the kitchen on the basement being used to cook hot dishes. 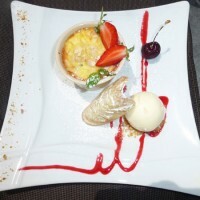 All products used for the dishes are done on site – even the icecream – and the products come from local markets. 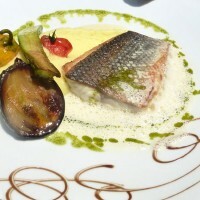 The dressings are mainly an “écrasé” of potato with olive oil, a polenta from the grindstone and Ratte potatoes. The meats melt under the tongue and all the plates are decorated with tenderly cooked mini vegetables bursting with South sunshine: aubergine, asparagus, yellow pepper, tomato… and the salad is dotted with fresh sprouted seeds. 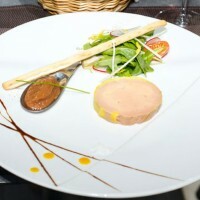 For starters, you can for example select the homemade Duck Foie Gras half cooked in cloth, with fig chutney or the Green Asparagus with Parmesan or the marinated Artichoke and Goat Cheese cream with chives. 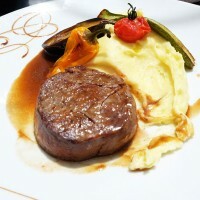 To continue, a tender fillet of Simmental beef “à la plancha” or a delicious Filet Mignon of Veal with Morel sauce or the flavors of the sea with a seared St Pierre fillet deglazed in Lemon. 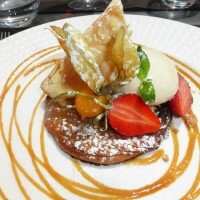 The desserts are sumptuous and artfully presented like the Fine Apple pie, gingerbread ice or the Cherry Clafoutis. The very rich wine list offerings are developed with care: it took Karin Ferré three years to find the Condrieu (Côtes du Rhône) she wanted to share with her customers. All regions of France are represented with great emphasis on Southern wines, some of them with dream names: Cuvée Pink Floyd (Château Miraval) or Cuvée Déesse (Château d’Esclans)… The connoisseur can enjoy himself! 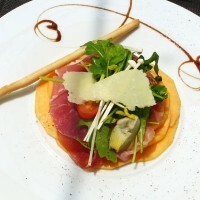 The pleasures of the table of L’Antidote for lunch are among the most affordable in Cannes: staters between 6 € and 9 € , main courses between 12 € and 18 €, desserts at 6 €. 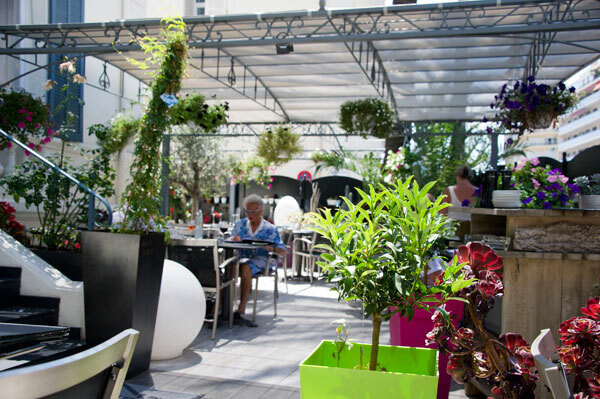 This restaurant with a real chef, gourmet and terroir cuisine – which is well worth a Michelin star – welcoming decor, perfect service, is a real rarity for a city like Cannes! 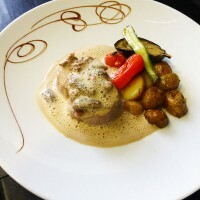 In the evening, some elaborate menus await the gastronomes: Menu Petit Gourmet at 31€; Menu des Gourmets at 39 € Menu Antidote at 49 € and Menu Special Truffles at 59 €.